These monthly rides open to the public are the perfect way to do good. Grab your family and friends and sign up for a Community Ride. We’ll tell you a few details like what to wear and where to meet us, but here’s the fun part: your destination is always a surprise! No matter where you’re headed, we guarantee you’ll get those warm fuzzy feelings that only come when you’re doing something good for someone else. We’re grateful for our Community Ride sponsors for helping us offer this fun & affordable. All we ask is for a $10 suggested donation if you can. 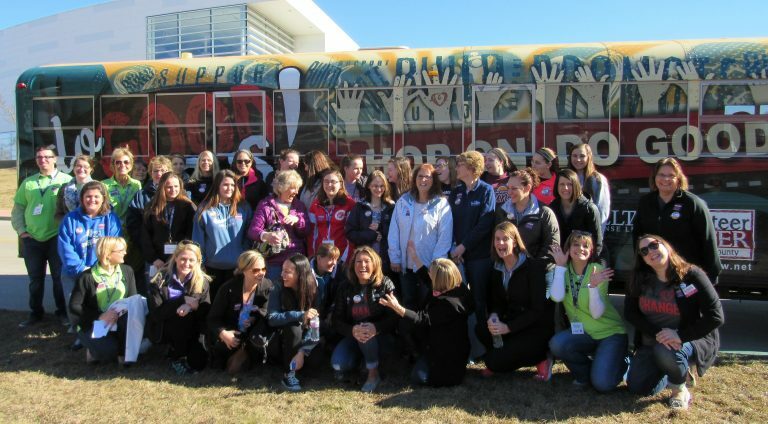 Have additional questions about the Do Good Bus? We’ve got answers. Over the river and through the woods, on the Do Good Bus we go. Get outside and celebrate spring giving back to nature! A surprise destination adds an element of fun, but it also helps avoid any pre-conceived ideas about the work we are going to do. We want all of our volunteers to show up with an open mind and ready to do good! Get your coworkers doing good together or try something different for your next family reunion or birthday celebration!